COLUMBIANA — Violet E. Burke, 95, passed away on Wednesday, Dec. 26, 2018, at Parkside Health Care in Columbiana with her daughter by her side. Born May 12, 1923, in Moorefield, W. Va., she was the daughter of the late Raymond and Grace Wolfe. 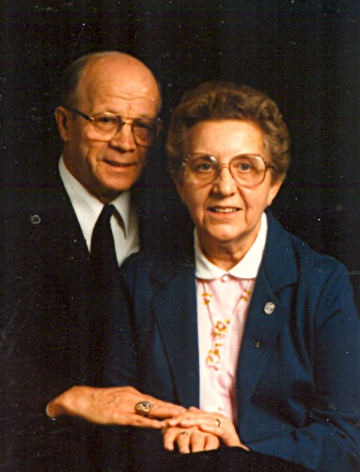 She is survived by her son, John R. (Sherry) Burke of Westlake, Ohio; a daughter, JoAnn (Roy) Pariso of Columbiana, Ohio; five grandchildren; 14 great-grandchildren; and six great-great-grandchildren. She was preceded in death by her husband of 70 years, John M. Burke; three brothers, Guy, Victor and Brady Wolfe; and an infant sister, Goldie Wolfe. Per her wishes, there will be no services. Burial will be at Western Reserve Memorial Gardens in Chesterland, Ohio. The family would like to thank the staff at Parkside for their loving care of Violet.